Call 9-1-1 for emergency assistance. Know the location of emergency blue light call boxes. 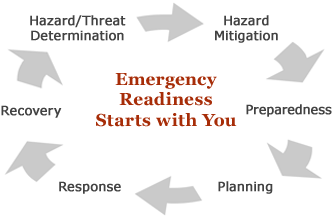 Become familiar with building evacuation plans and the name of your Building Marshal and Monitor. Identify the location of evacuation gathering areas outside campus buildings. Know your Departmental Emergency Contact Phone Tree plan; keep the contact numbers updated and activate it in an emergency. Identify the location of evacuation chairs and fire extinguishers in your building. Keep the Emergency Alert phone number handy for updates: 1-877-STAN-411.